Liverpool legend Jamie Carragher has suggested that Chelsea ace Eden Hazard should leave the club this summer. The Belgian has been strongly linked with a move to Real Madrid. The Spanish side have struggled on the field following the departure of Cristiano Ronaldo last summer – their struggles were epitomised by their shock Champions League last 16 elimination by Ajax. Zinedine Zidane’s side reportedly view Hazard as a good replacement to Ronaldo, who they failed to replace last summer after the attacker joined Juventus. Hazard has by far been Chelsea’s best player this season. The 28-year-old has shone for Maurizio Sarri’s side, scoring 16 goals and providing 12 assists from 32 appearances in the Premier League. If one thing is certain, it is that there are not many attackers in world football who can be considered better than Hazard. Since joining Chelsea from Lille in 2012, Hazard has won two Premier League titles, one FA Cup, one League Cup and one Europa League. He has a fairly decorated CV but the one thing which he lacks is a Champions League trophy. If Hazard wants to leave Chelsea at this stage of his career, it would be hard to fault him. He is now at the peak of his powers and the Blues are currently in a rebuilding phase so it looks unlikely that they will challenge for Europe’s Premier Club competition for the next couple of years at least. “To be honest I don’t think you can ever stop that (speculation around Real Madrid),” Carragher said on Sky Sports Monday Night Football after the game. “Most players see that as the pinnacle, it’s happened at both our clubs, United and Liverpool , and I agree it’s sad in terms of not watching them week in, week out. 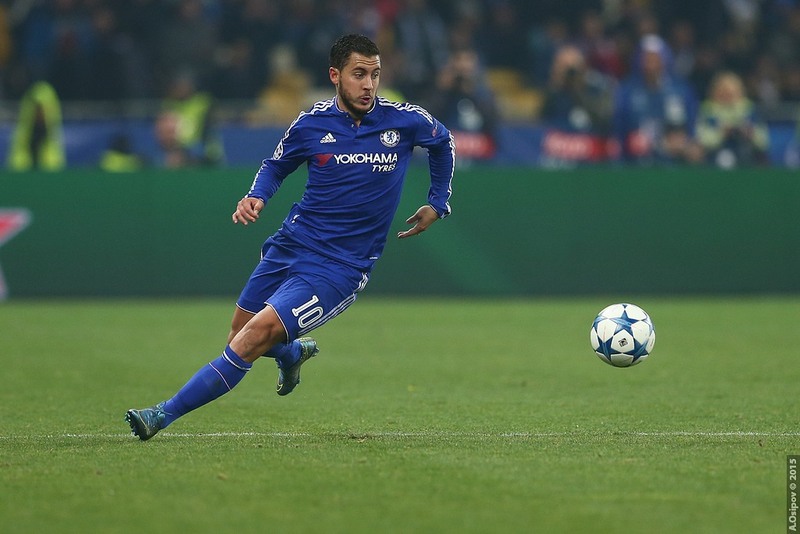 “But I almost feel like Hazard has to play for a Real Madrid or a Barcelona . “He’s that good that there are some players you think just have to play at that level. “No disrespect, but I think Hazard’s too good for Chelsea right now. “I just think he’s that good a player. “With Hazard, I think he’s one of the best players in the world and I think the best players in the world play at your Real Madrid’s and your Barcelona’s.